We are a team with more than 15 years of experience organizing multidisciplinary activities aimed at teaching languages by introducing people to new cultures. Our team is built of professionals, trained to offer the best experiences to families who wish to learn together. We are passionate experts whose goal is to provide a first class immersive experience in the wonders that Teruel and its people can offer. Teruel Family Immersion focuses on the family because learning the language as a family is shown to be more effective. For that reason, the family is the center of attention in our project. We believe that undertaking activities together favors the strengthening of ties as a family while learning a multicultural city. Our team advocates the approach of learning while building and making. Craft workshops support retention since doing things manually generates a multi-sensory pathway for new vocabulary and expressions. The culture and traditions of the region will be key elements for learning. We want families to enjoy the language while exploring our history, our culture. Moreover, the future is also experienced through the scientific activities we can find in the City of Arts and Sciences and in Dinópolis. Teruel Family Immersion was designed to offer families a memorable and satisfying language acquisition experience. Esther Díaz received a Bachelor’s degree in fine arts from the University of Valencia, Spain, and a Master’s degree in graphic design and illustration from Aula Creativa in Madrid. Esther is dedicated to promoting the performing arts by linking aesthetics and scholarship. 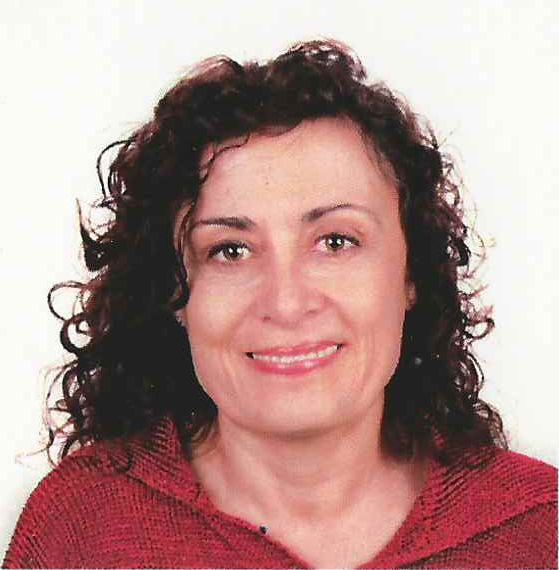 She has led several workshops for participants of diverse age ranges in the domains of visual arts, sculpture, learning Spanish, and performing arts for several worldwide organizations that are leaders in their sectors including Accenture, Coca Cola, Real Madrid Football Club, Telefonica, Unilever, Unicef, the City Council of Madrid, the Museum Reina Sofía, and the Smithsonian Institution. Focused in opening her horizons, Esther taught Spanish to adults and, children in preschool and middle school in New York City. She also supervise the organization of the Real Madrid Football Club Summer Campus held in Madrid, Spain. Teruel, the City of Love, is well-known as the world’s capital of Mudejar Architecture and art. The city is also a cradle for many archeological sites where dinosaurs have been discovered. With a relatively small population of 40,000 people, this city offers the perfect layout and size for participants to walk to each workshop while they explore their surroundings. In fact, Teruel is in close proximity to several towns recognized as the most beautiful in Spain and some protected by UNESCO. Your family will be immersed in a secure and cozy environment, interacting with welcoming locals, all eager to share their city’s history and their life style.